Almost from my beginning as a writer for Headphone.Guru the MrSpeakers ETHER C Flow has been my reference headphone, and before that it was the ETHER C and before that it was the ETHER (I’d like to say that before that it was the Alpha Dog, but I was introduced to the Alpha Dog minutes before I was introduced to the ETHER, so before that it was a pair of STAX II servo static headphones that I haven’t had for several decades). MrSpeakers is known for two things (beyond just great sound) innovative design and epic mods. It is into this second category that the MrSpeakers ETHER Flow 1.1 and ETHER C Flow 1.1 fall being a mod to the original ETHER Flow and ETHER C Flow which following MrSpeakers tradition is available for existing owners for a ridiculously low price of $29 and can be done in the field by the consumers themselves. The mod itself is quite simple and can be effectuated in about five minutes. 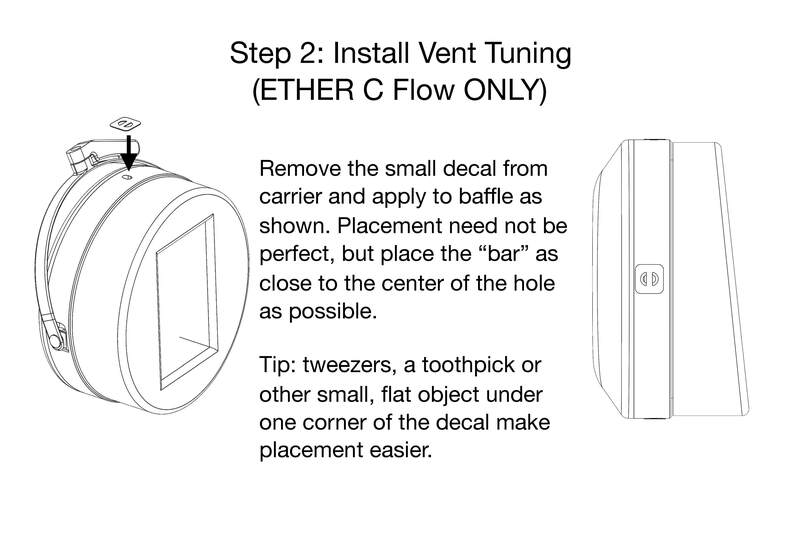 It involves the changing of the external filter by carefully removing the earpad, detaching the original filters, attaching the new one, replacing the earpad and attaching a small adhesive screen over the vent hole. Also included with the 1.1 Mod is a tuning kit consisting of three filters, a white felt, a black felt and a black foam. I was sent the ETHER C Flow 1.1 and Frank was sent the ETHER Flow 1.1, so comparison was fairly easy for me as I already had an unmodified ETHER C Flow. I want to point out at this time, the sound wasn’t different, just better. 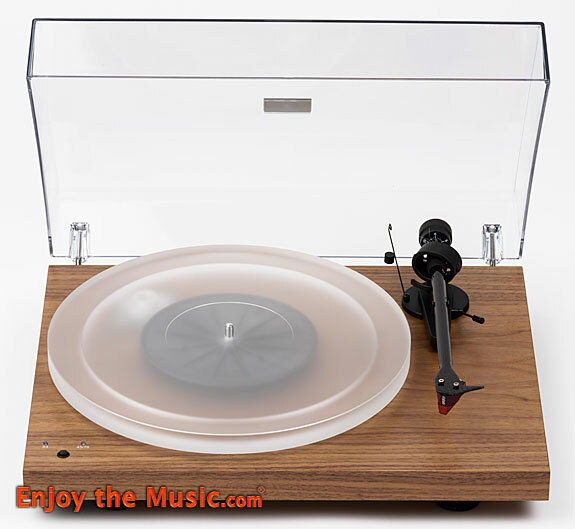 That is to say, that everything you love about the ETHER C Flow, the tonal balance, the incredible speed, and phase coherency, the large three-dimensional soundstage all remain, you just get a little more. The first thing I noticed was about a 5dB increase in volume (efficiency), which directly translates into increased dynamic range. 5dB may not sound like much, but double the power is required for each 3dB of increase in volume or to put it differently a 3dB change in volume requires twice as much power, so in fact, 5dB of extended dynamic range is significant. Listening to Yes’ “And You And I — I. Cord of Life, II. Eclipse, III. The Preacher the Teacher, IV. Apocalypse” (DSD) everything was just a little bit more live sounding, a bit more real. With Stravinsky’s “The Firebird Suite” performed by Robert Shaw conducting the Atlanta Symphony Orchestra (24/96 kHz vinyl rip) even the vinyl noise had a touch more texture, which may not be something you are looking for, but is an indication of improved resolution. And again, the instruments felt more real, more dynamic. The same thing occurred with voices as evidenced by Dusty Springfield singing Burt Bacharach’s “The Look of Love”. The sibilants were richer, more texturized, less hissy, and the upper midrange felt more liquid, smoother, yet the piano was a tad crisper lending it an in the room essence. To explore this further I put on my vocal torture test “Just Like U Said It Would B” by Sinéad O’Connor. I was bowled over by the oceans of musicality added to the presentation. As to the tuning kit, surprisingly enough, the effect was much more subtle. The white felt richened up the lower mid-range creating a pleasant reverberation to baritones, while the black felt moved the singer and voices in general away from you. I did not find a musical passage that was enhanced by the foam, but it is supposed to work well with the open-backed ETHER Flows. If you love your MrSpeakers ETHER Flows or ETHER C Flows, before you buy your next $500 cable spend $29 for the 1.1 upgrade. There are no tradeoffs, you get more of the sound you love without losing anything. It is well worth the investment in my book, thumbs up. Everyone who purchases products from MrSpeakers knows Dan Clark always works to make his products better. Many companies could make improvements to products that are in the field but don’t and instead, they discontinue current products make a few cosmetic changes and come out with a new headphone and charge more for it. Dan’s model is different; he has built his business on providing modifications to his customers at real-world affordable pricing whenever it’s practical. Dan Clark spent months figuring out how to squeeze more performance from the award-winning ETHER Flow Planar designs he created. 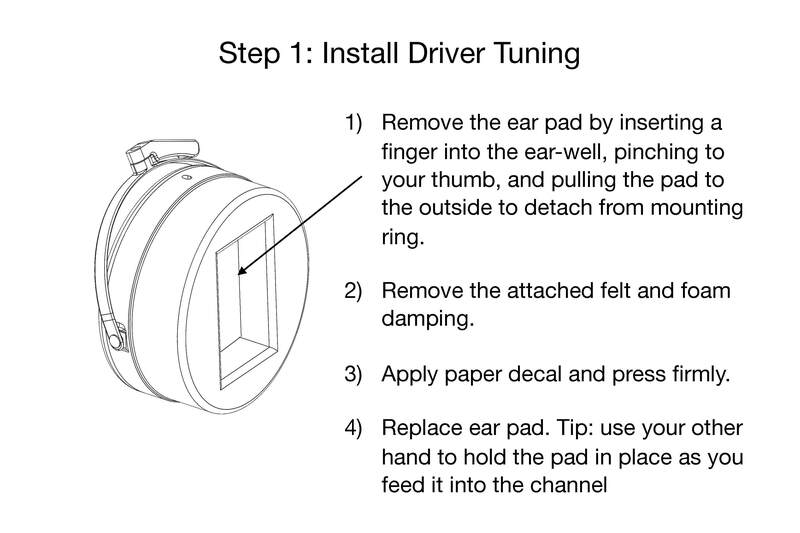 The new 1.1 upgrade modification comes with the tuning pads included in the $30 price. The changing of the white and black pads subtly changed the sound during my listening sessions and I ended up preferring the white tuning pad over the black. Listening to classical recordings, the ETHER displayed significant layering and the orchestra soared in a wide and three-dimensional stage. The detail improvements were also significant with much better tonality and I was able to clearly hear differences in the clarity of inner details for violin and a piano. Subtle notes from the piano were more defined while the violin tonality was more vivid with articulation of the instrument’s body and strings becoming more noticeable in recordings. The tonality of instruments was invitingly exceptional. The sound from vocal recordings was articulate and the new soundstage definition was welcomed, with musicians more defined within the stage and exceptional separation. The $30 mod made the ETHER clearly defined, with violins floating in space and the body of the instrument more noticeable within the stage. I found myself listening more to violin recordings just to enjoy the exceptional three-dimensional soundstage. The modification is a welcomed improvement, especially for what it did with expanding the soundstage and detail. Listeners who listen to large-scale recordings will quickly appreciate the improvements to the soundstage. Once again the genius of Dan Clark comes to light and is evident in this new modification to the ETHER headphones. New ETHER buyers will be pleased to know the new modification is included with the headphone, along with an all new cable to replace the old DUM cable, with better ergonomics and a more spacious soundstage. Another well thought out modification that was easily noticeable and punches well above the minimal asking price. Once again Dan Clark demonstrates his creative genius and delivers a worthwhile improvement to his original creation.